This 40-unit residential project on a hilly forested site in western Panama offers spectacular views of the Pacific Ocean. 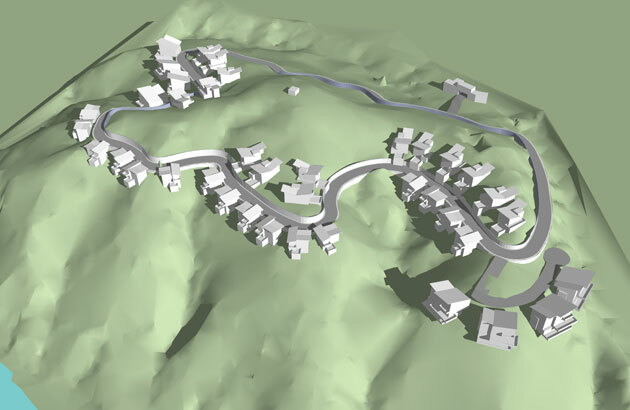 Houses are located both up- and downhill from a single loop road and are specifically designed to respond to their respective topographies and views. 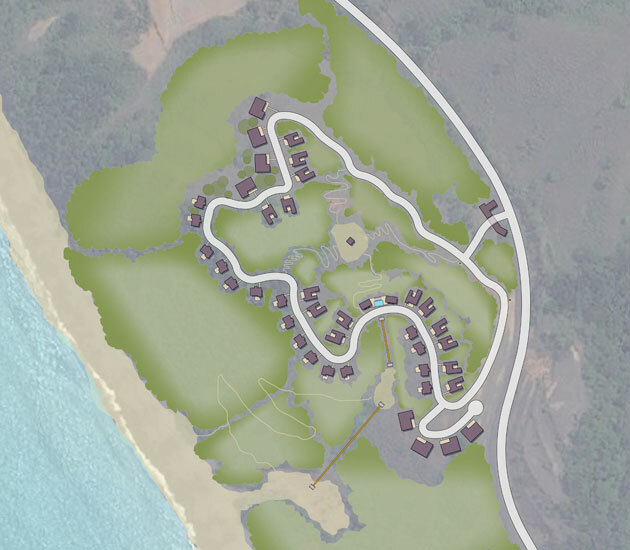 A community center and pool are located along a concave road bend and a funicular provides access from the neighborhood to the beach below. Numerous trails winding through the forest connect various parts of the site. A multi-purpose building located at the project entry provides daily amenities to residents of the community.